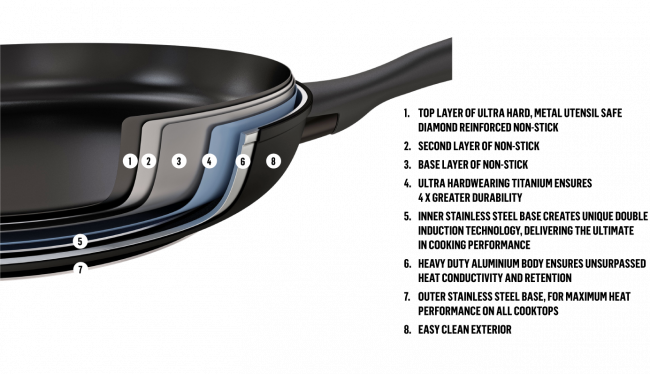 Per Domani is beautifully sleek cookware delivering the ultimate in cooking performance and state-of-the art technological innovation. 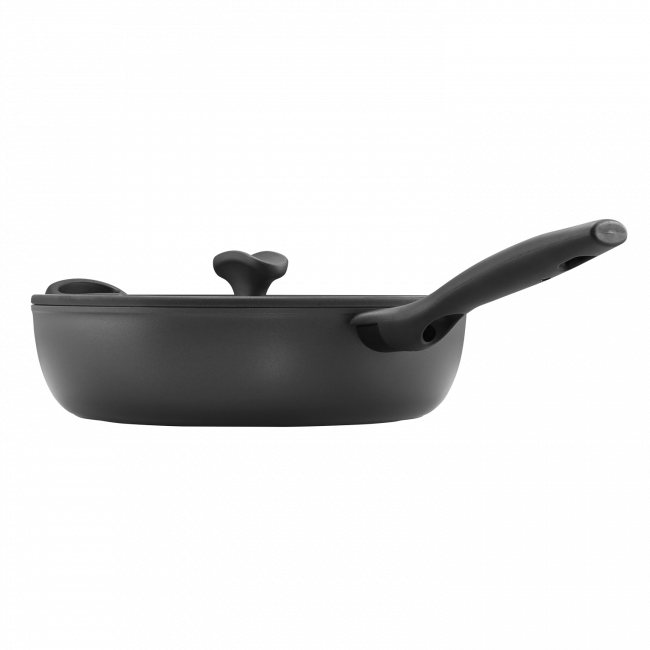 This contemporary 28cm deep nonstick skillet is perfect for a variety of meals, from frying and searing to larger sishes, sauteing, casseroles and more. 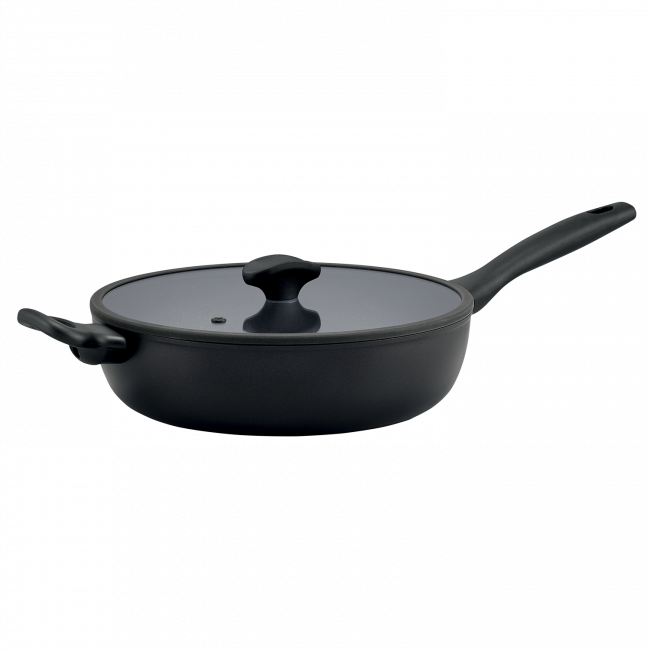 The European look and slimline glass lid will complement any kitchen while the super-hard and durable nonstick provides fat-free cooking and effortless cleanup. 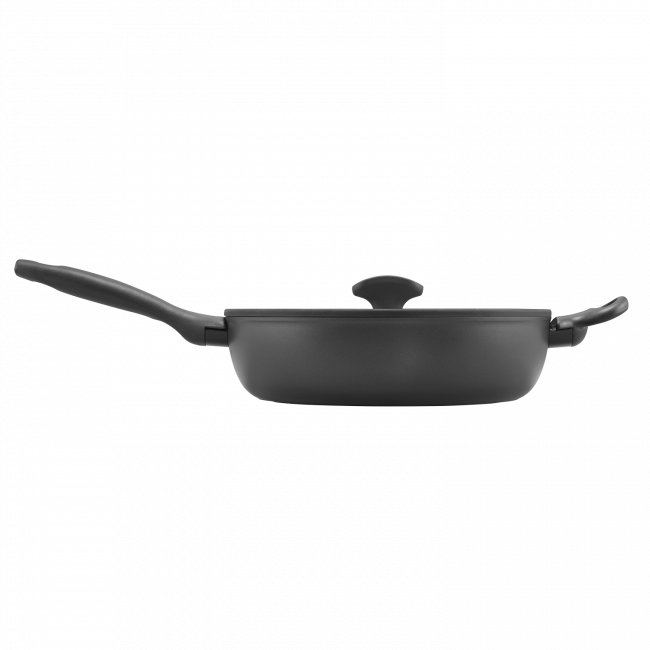 Essteele Per Domani 28cm Deep Covered Skillet is rated 5.0 out of 5 by 4. Rated 5 out of 5 by Lilly M from quality product I bought it a month ago. 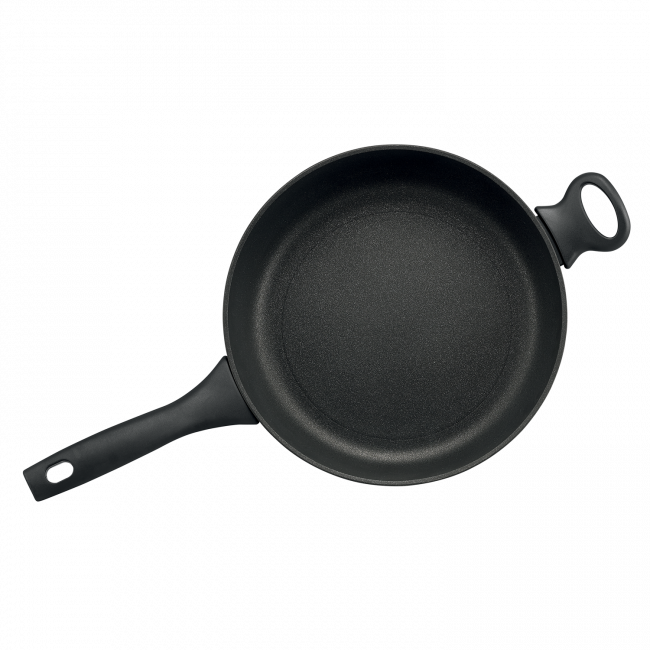 The 28cm skillet is verstile. The non stick is the best and easy to wash up. glad I bought it. I highly recommend this product. Rated 5 out of 5 by NikkiJane from Excellent improvements This pan is the best I have had in years, in particular it is light weight which makes it easy to handle. The non stick is effective and the handle design ensures I don’t burn my hands.